UPDATE: on february 12, 2019, snøhetta’s revised plans (shown here) were approved by the NYC landmarks preservation commission. the renovated building will reopen in 2020. read more about the project below. 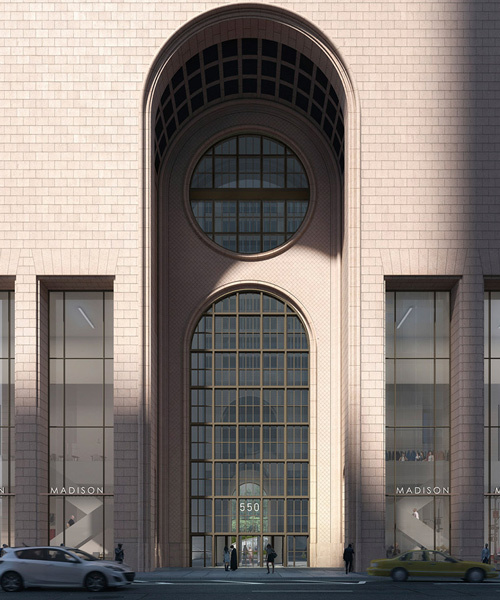 in october 2017, snøhetta revealed a proposal to renovate 550 madison avenue — new york’s famous postmodern tower designed by philip johnson. in july 2018 the building was designated an individual landmark by the NYC landmarks preservation commission, meaning that new plans needed to be drawn up. now, five months after the announcement, a revised ‘preservation-led’ design has been put forward by the team behind the project. since july 2018, 550 madison ownership — led by the olayan group with development partners RXR realty and chelsfield — has been working closely with snøhetta to develop a design that would preserve the tower, while providing modern upgrades and revitalizing the surrounding public space. the updated design seeks to retain the structure’s architectural features, while creating a class A office destination for future tenants. in addition, the rear of the building would provide a vibrant green space, 50% larger than the current public space. the upper portions of the existing four-story annex, the altered glass roof, and side street enclosures that were added during the 1990s will be removed, creating a public garden. protected by a new canopy — which the team says is inspired by johnson’s design vocabulary — the open space will include 42 new trees, eight bike racks, and seven public restrooms and will expand the seating available to accommodate more than 260 people. 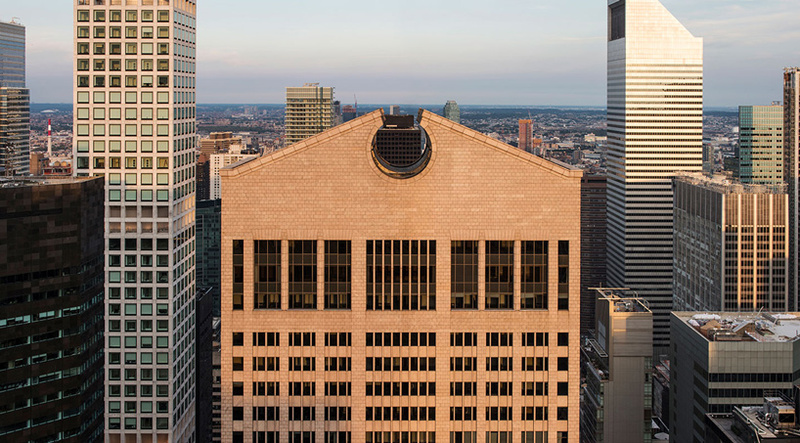 importantly, the tower’s exterior will remain 94% unchanged, while some architectural features of 550 madison’s original 1984 design which had been altered by prior ownership, including portal holes that had been covered over multiple renovations of the rear of the building, will be restored. new clear storefront windows will allow people to see through the ground-floor retail and to read the full volume of the dramatic piers at the building’s base. however, all exterior-related work for the building is subject to review and approval by the landmarks preservation commission. the development team want to return the tower, which has been vacant for years, to its original prominence as a state-of-the-art commercial building. to do this, a series of interior modifications and infrastructure upgrades will be made. meanwhile, sustainable and healthy building materials will be sourced throughout the building. the upgrades will achieve a minimum 30% reduction in water use and an energy usage target 10% below current new york city energy code. ‘snøhetta’s design restores philip johnson’s and john burgee’s original use and intent for the building,’ says erik horvat, director of real estate at olayan america. ‘it respects 550 madison’s architectural importance and creates an inviting new green space for the community to enjoy. 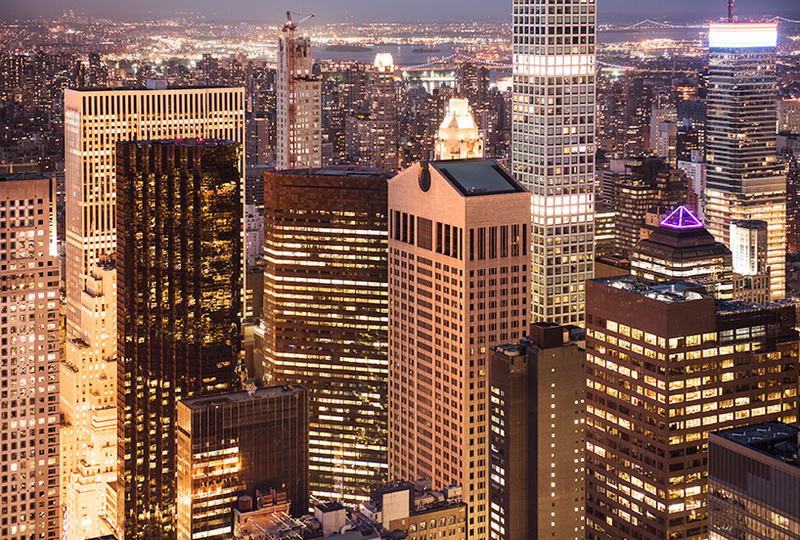 we look forward to an ongoing dialogue with the landmarks preservation commission and other stakeholders to ensure that 550 madison’s legacy is respected and preserved.’ see designboom’s previous coverage of the project here.